Your Arctic adventure starts in Norway, where your journey through impressive fjords acquaints you with the tough northern wildlife and gorgeous vistas. Consider a cruise to the world's northernmost inhabited region in Spitsbergen archipelago (Svalbard), where sea birds, playful seals, cunning foxes, and majestic polar bears enjoy the crisp polar air. As you cruise the Sea of Okhotsk, you'll learn about the fascinating Scandinavian traditional culture & how it has developed throughout the centuries. Norway is also a common departure port for cruises that visit Iceland & Greenland, where icebergs, glaciers, and fjords dominate the landscape & Aurora Borealis lights up the night sky. 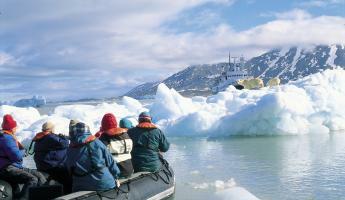 Contact one of our Norwegian adventure cruise experts for a customized Arctic cruise package. Explore the Svalbard archipelago on this 9-day polar bear safari cruise aboard the Ocean Nova. 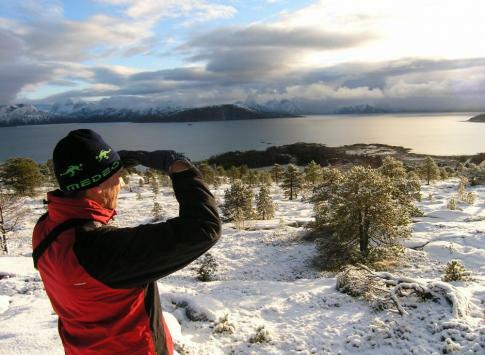 Witness the stunning fjords and outlying islands to the north. Take advantage of continuous daylight to hike the tundra, cruise in a Zodiac, kayak, and encounter unique arctic wildlife. This voyage showcases all that Spitsbergen has to offer! On this 13-day award-winning expedition aboard the Ocean Adventurer hike the Arctic tundra, cruise in a zodiac through icebergs, fjords, and glaciers, and join optional kayaking excursions as you travel from the Arctic Circle in Spitsbergen, to the coast of Greenland, and fascinating Iceland. Keep an eye out for the rugged wildlife that live here. 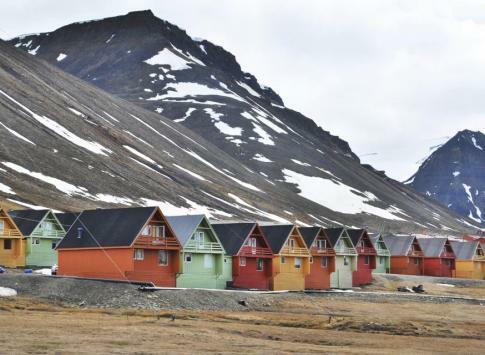 Svalbard & Spitsbergen: A fascinating cultural center, where humans have built their lives around the glaciers for centuries. This is also considered the wildlife capital of the Arctic, home to polar bears, walruses, and other fantastic Arctic animals. Cool wildlife like polar bears, seals, and seabirds. The Northern Lights are one of the most incredible atmospheric phenomena in the world, and during the long, dark winters, the crystal clear skies make viewing the Aurora Borealis second-to-none. The Northeast Passage: You'll explore one of the most remote parts of the world aboard a powerhouse icebreaker, making your way from European Russia all the way to the Sea of Okhotsk between Japan and the Kamchatka Peninsula. The culture of Norway stems from Vikings and other fascinating ancient ethnic groups, whose customs are still alive today in many of the cultural traditions you will see here. If you are traveling from Australia or New Zealand, you will have to transfer in Asia, the Middle East, or Europe. 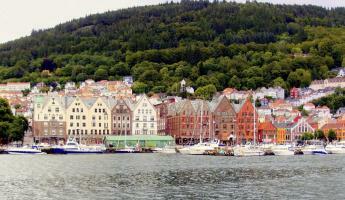 By boat: Speedboats & ferries are available from Denmark, Sweden, Germany, and the UK. These arrive in Oslo, Bergen, and other coastal and/or port cities and are a good option if you are arriving from other parts of Europe for a cruise of the Norwegian archipelagos. By train/ bus: Europe's extensive network of trains and bus companies can be good alternatives if you are traveling from Sweden, Finland, Russia, or Denmark. Most train rides are overnight and will provide sleeping cabins. Buses depart from Gothenberg, Sweden and Copenhagen, Denmark hourly. 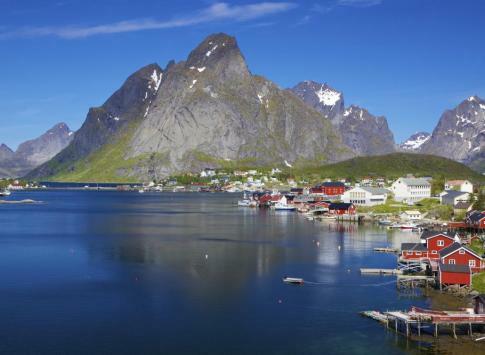 No trip to Arctic Norway is complete without cruising through the towering fjords that define the region. So here's the 4-1-1 on Norway's fjords. Fjords are long, narrow, deep inlets of the sea between high cliffs, usually formed by the submergence of a glaciated valley. 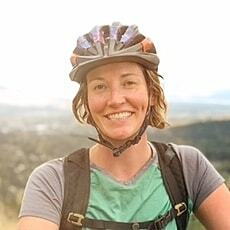 What can I expect to see on a fjord? Fjords are like snowflakes - each unique in their own way. 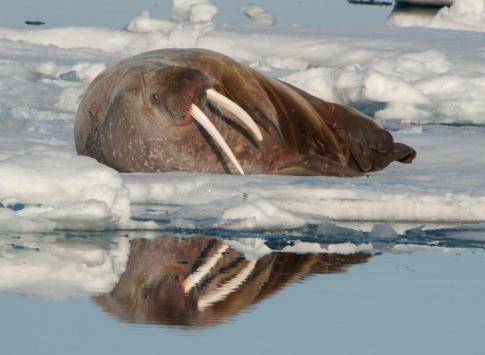 Many are home to the regional wildlife, like walruses, seals, and polar bears. The rocky ledges make the perfect habitat for many of the Arctic seabirds too. You will see geology in action as you witness how the ice carved away the rocks. Zodiac tours and trekking across glaciers are the most popular ways to explore the Norwegian fjords. This allows you to see the wildlife up close and get a better understanding of how these northern fjords & glaciers have transformed the landscape. Is it necessary to have a visa to visit Norway? For travelers from European countries, Canada & the United States, Australia & New Zealand, a visa is not necessary. If you are traveling from another country, a visa will likely be necessary, and you should check with your country's state department for more information on travel requirements. Tipping isn't necessary, but if you enjoy good service in a restaurant, bar, or cafe, it is appreciated if you leave some spare change on the total. Gratuities are always a personal decision and we leave those up to travelers on their own terms. Throughout most of Norway and even in Svalbard (Spitsbergen) you will find that there is high speed internet access via WiFi hotspots and cyber cafes. Of course, in open ocean on cruises and on the more remote sites of the northern tundra you should not expect internet access. Can I use my cell phone in Norway? Mobile phones generally get pretty good coverage throughout the developed areas of Norway as long as you have activated global roaming with your service carrier before leaving. In remote parts of the country, service is weaker or you may not get a signal at all. Like most of Europe, Norway has 220-240V electricity with Type F sockets. You will need a power adapter that is compatible with either Type C or Type E/F. If you have electronic devices that cannot accept 230V, like many small appliances from the United States, then you will also need a step-down converter. Unless otherwise indicated, it is safe to drink the tap water. What is the most common way of paying for things in Norway? The currency in Norway is the Krone, and 1 Krone is approximately 8.50USD. While you should have enough cash on hand for purchases from smaller vendors, most shops, hotels, and stores do accept major credit cards. It is easy to find ATMs throughout the major cities in Norway, but they are less common as you get further into the isolated areas away from the cities. You should purchase travel insurance. We have affiliates that can offer you discounts, so check out our Once You've Booked page for more details. Travel insurance can make all the difference in the event of an emergency or cancellation.